Meet Sid Ravishankar, a rising 2nd year student concentrating in Strategic Studies with a minor in South Asia Studies. 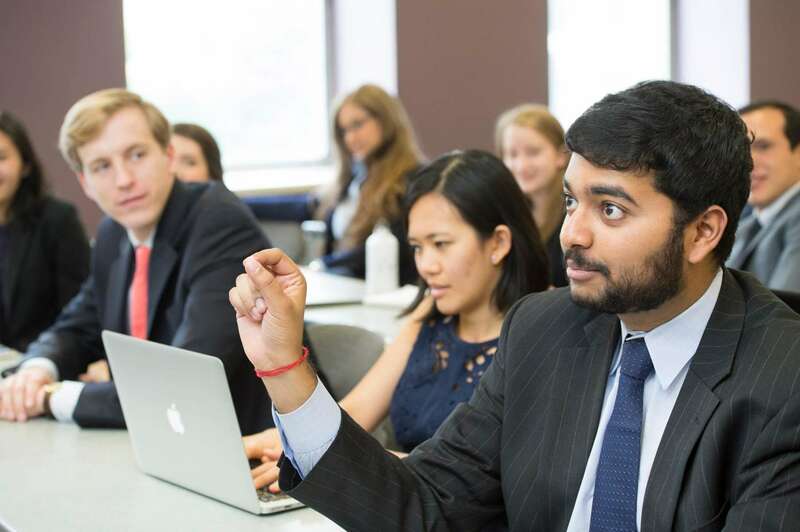 Sid intends to pursue a career in national security and foreign policy and feels that his course of study at Johns Hopkins SAIS will equip him with the necessary blend of functional skills and regional knowledge for these fields. While attending the school, he has had exposure to a wide variety of resources that aid his education including expert faculty, language training, and discussions with visiting scholars and policy makers. The diversity of his peers in the Strategic Studies and South Asia Studies departments has also allowed Sid to learn from their various perspectives. Sid appreciates the faculty’s level of engagement with the student body especially in the Strategic Studies department where professors are always available for conversation. Additionally, the well-connected faculty provides opportunities for students to have personalized conversations with US or foreign government officials to candidly discuss policy.The department also organizes a number of events throughout the year with faculty participation including staff rides, lunches, and talks so that students can get to know their professors. Furthermore, Sid feels the school’s Washington, DC location, near think tanks and embassies, allows for frequent visits from heads of state to discuss relevant issues. Sid and his peers are also able to intern at various government departments or think tanks nearby. In fact, this summer Sid is working in the South and Central Asian Bureau at the State Department in helping develop US policy in that region.